Little Mrs. Married: LOST tonight! Oh my goodness, I am so excited!!! And here is the best part. 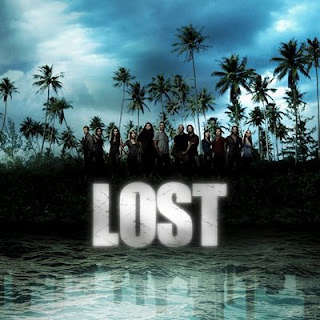 For the first time, we will be able watch LOST on TV with the rest of the world!! Yes, you see, we watched the first 4 seasons on DVD before Season 5 aired. Then we watched Season 5 with everyone else...only hours later. We didn't have cable & so we caught it online. But they don't put it online till hours after it airs, so we usually ended up watching it the next day. After Season 5 ended, we decided we'd either get cable or get an antenna so we could watch it with everyone else for Season 6! Brad said we'd do it before the season premiere on February 2nd. TONIGHT! SO yesterday - the day before the season premiere & we're finally like "oh no! LOST is back TOMORROW! Whatarewegonnado!??!?!" 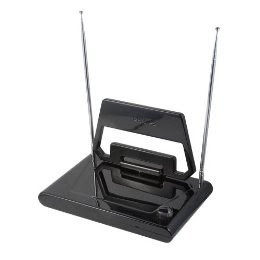 So Brad said that today he would go look for the HD antenna at Walmart after work. He would plug it in, we would cross our fingers & PRAY! We asked his parents if we could go there as a last minute emergency if we couldn't get it to work but we couldn't because his sister's favorite shows come on tonight at 7, 8 & 9! So we decided if we couldn't get it to work, we'd just watch it tomorrow online. SIGH. So he did get it after work! And he came home & plugged it in. And it WORKED! Well, sort of. We had several clear beautiful channels & i saw that i would be able to watch American Idol if nothing else!! But we couldn't get ABC! Until, that is, he had me remove my beautiful EMMA tea pot & other dishes that are on display to put up this ugly antenna!! He said, "it's either that or NO LOST!" ... so i had to give in! But you know that's how it would go! OF COURSE it wouldn't get ABC on top of the TV or entertainment center like anywhere else! Oh no! We had to remove my beautiful dishes & pretties & make it all tacky! & you know - i have always had TV & loved it. But when i got married, Brad didn't have a TV. He had no desire for one. But i wanted one! I told him we didn't have to have cable, i just at least wanted to watch a movie now & then! So with wedding gift cards to walmart, we got ourselves a nice TV! But we didn't get cable. I just got Netflix. Well, now i'm remembering why i do not miss TV AT ALL. I mean, sure, i have missed certain shows at times, but i have also enjoyed that i read a LOT more & stuff like that. Anyway, while Brad was trying to get channels & such with the new antenna, Jerry Springer came on. UGH!!!! Ohhhhhh rblrfocoiirllkwedsauygoign! I don't know what else to say except that show makes me SICK to my STOMACH! Plus tons of loud commercials. NO THANK YOU! Oh! Your antenna is sooo much smaller than mine. I should take a pic of mine sometime and send it to you. You would laugh at me hahah. We don't miss cable. We get a few of the basic channels and tend to find one show a season that we can enjoy together. It's nice that way. We did the same thing (except we didn't have Internet either) up until about 2 months ago, and even now we only have Internet & basic cable (about 15 channels). I think it was good not to have all the distraction at the beginning of our marriage. ( Not to mention how much JUNK there is on TV!) As I type this we are in separate rooms bc we both wanted to watch something different at the same time, luckily that doesn't happen too often :). So, yay for your antenna...and when you don't get good reception/signal, foil really does work!! But I don't watch much TV. There are 4 shows that I enjoy. I don't even watch the news - too depressing. Anyway, enjoy your season premiere! I would LOVE to cancel our cable. When we first got married we didnt have it, and I feel like I got so much more done...and did a lot more crafty things and read. Now I feel like I sit in front of the tv and lose track of time! Hopefully one of these days I can convince Hubby that 6 clear channels is all we need...here's to hoping.